Google appears to be done with two phones that were the company’s signature devices just two years ago. Ars Technica pointed out that the Pixel and Pixel XL have now disappeared from the Google Store and Project Fi store. Google confirmed to Gizmodo that the devices will no longer be made available to purchase directly from the company. Those still interested in the first-generation of the Pixel and Pixel XL, which were introduced by Google in October 2016, can still find the handsets through third-party retailers like Amazon and eBay. Owners of the devices should be aware that Google’s decision to stop selling them means support for the phones will expire soon as well. According to documentation from Google, Android updates for the Pixel and Pixel XL are only guaranteed to be made available through October 2018. Security updates will stop in October 2019, as well Google’s customer support for the devices. When all is said and done, Google will have provided three years of support to its phones. That’s a pretty small window! The iPhone 5s was introduced in September 2013 and the most recent version of Apple’s mobile operating system, iOS 11, still supports the device five years later. If not for Google’s lack of support for the handsets going forward, the Pixel and Pixel XL would be perfectly viable if slightly outdated smartphones. The phones feature a Qualcomm Snapdragon 821 processor that is far from outdated, 4GB of RAM, and a camera that was lauded by reviewers. Despite this, Google is moving on. The company gave the Pixel and Pixel XL an update in October 2017 with the Pixel 2 and Pixel 2 XL, and will likely refresh the line again later this year. The company briefly kept the first-generation of its flagship phones in its lineup at a discounted price—a role that the second-generation will likely play as well once its successor arrives. While the Pixel was mostly well-received when Google introduced it, its legacy may be Google’s inability to keep the phone in stock. 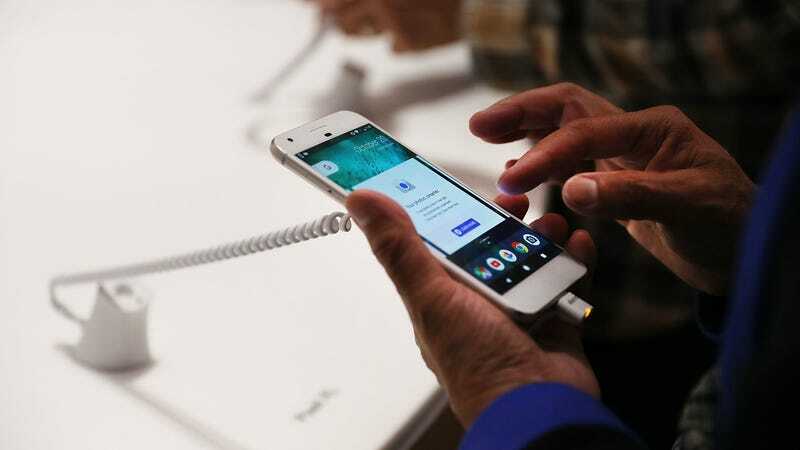 The device was perpetually unavailable and managed to ship just 3.9 million units of the Pixel and Pixel XL in 2017, according to International Data Corporation Senior Research Director Francisco Jeronimo. By comparison, Samsung sold 33 million of its flagship Galaxy S8 and Note 8 devices during the same timeframe. If you’re still using the Pixel or Pixel XL, enjoy it while it lasts. The flag is at half-mast for Google’s flagship phones that just never quite made it.